How much is Facebook worth? A Russian investment firm appears to put it at $6.5 billion to $10 billion. The investment group, Digital Sky Technologies, said Monday it will buy up to $100 million worth of Facebook shares from current and former employees. Digital Sky has agreed to pay $14.77 per share, which makes the social networking site worth about $6.5 billion. In May, Digital Sky bought $200 million worth of preferred shares in Facebook. That valued the company at roughly $10 billion, but those shares are worth more because they come with more rights. Facebook's open-market price would likely fall between the values implied by the preferred and common shares. A true test would come if Facebook pursued an initial public offering, but founder and CEO Mark Zuckerberg has said he is no hurry to do. At the very least, it seems Facebook is worth less than $15 billion, which was implied in 2007 when Microsoft bought a 1.6 percent stake in the company's preferred shares for $240 million. But, based on Digital Sky's investment, it is worth more than the $3.7 billion value that Facebook placed on itself after the Microsoft deal, according to details revealed last year in a legal settlement. Based in London and Moscow, Digital Sky also holds a stake in vKontakte, a Russian social network that is much more popular in that country than Facebook. 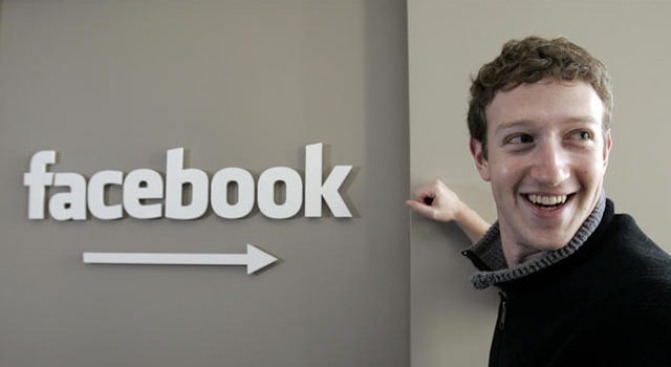 If its $100 million tender offer is fully paid out, the company will end up with a 3.5 percent stake in Facebook. The offer is not open to Zuckerberg and other Facebook executives.